Fill out the form to tell us about your cake. We’ll send you a confirmation and invoice once received. 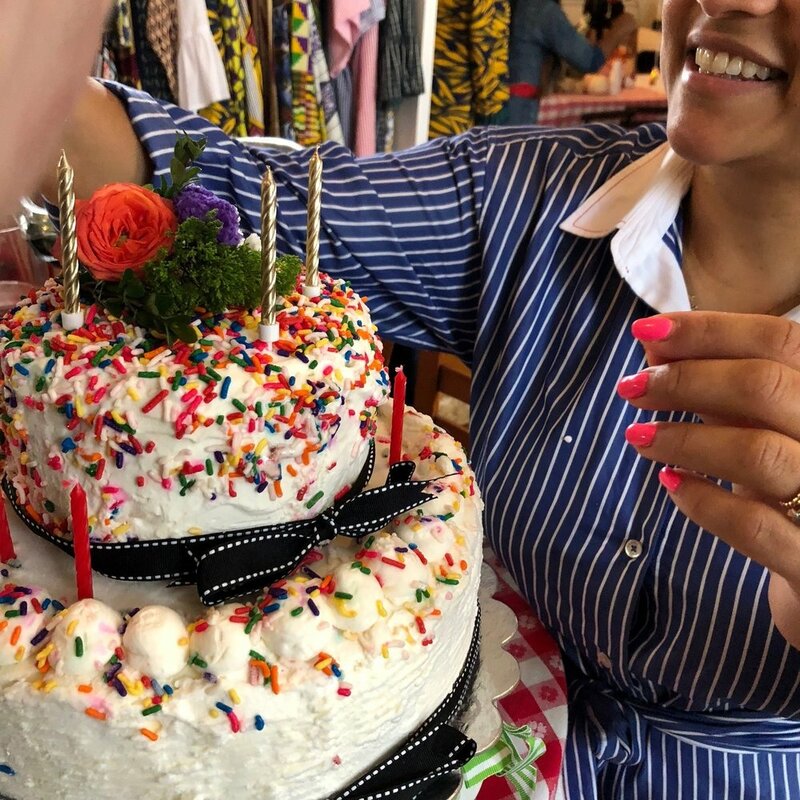 Is this cake part of your birthday party package at our shop? If so, please include the name of the birthday girl/boy and birthday party date. To learn more about our birthday parties, please visit https://www.sugarhillcreamery.com/parties-field-trips/. We recommend including dry ice with your order if you are traveling more than 30 minutes with your cake. Dry Ice Caution: *Avoid contact with skin and eyes. Wear eye protection or safety glasses. *Use and store in well-ventilated area. *Do not store dry ice in airtight containers. *Contact with water releases carbon dioxide. *Do not discard in sinks! *Do not save or reuse ice left over in ice buckets. Is there anything else you think we should know about your event?